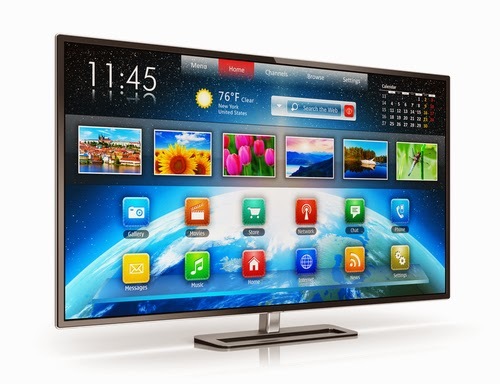 While many Americans are utilizing different set-top box options for integrating the Internet with their television sets, more and more citizens are selecting Smart TVs as their primary connected device. According to a study from research firm Strategy Analytics, connected TV devices increased not only in the second quarter this year, but year-over-year as well. “Q2 2014 marked the first time that there are more smart TVs installed in homes globally than IP-enabled game consoles and smart TVs will now move on to become the dominant connected TV device in the living room in terms of ownership,” said Eric Smith, a Strategy Analytics analyst. Further research from Parks Associates has revealed that 33 percent of UK residences have Smart TVs (a number that has seemingly jumped 12 percent in one year), while a recent report from Videology indicated that 110 million U.S. citizens watch with connected TVs, with a predicted 200 million connected TVs across the globe in the next four years. “Television is now digital, and digital is now television, and one thing is for sure: When it comes to TV, the only constant is change,” stated Videology CEO Scott Ferber. Digital TV Research suggests that number is actually higher. Their September announcement asserts that approximately 1 billion televisions will be online by 2020 – 36 percent (around 346 million) of those will be Smart TVs, with 56 million in the U.S.
“The New Living Room,” an annual survey by Crackle released last week, has signaled that connected televisions are the go-to place for residential streaming, with more viewers than ever before participating in OTT. “The data also clearly supports a strategy of addressing consumer demand with movies, TV series and original programming that are offered free with advertising on all game consoles, streaming boxes and Smart TVs,” said Eric Berger, Sony Pictures Television Executive Vice President of Digital Networks and GM, Crackle. Smart TVs are effectively becoming the preferred portals to entertainment in our living rooms and dens. With the rise in their usage, programmers and app developers are coming up with all kinds of new ways to display television content on the screen. When it comes to information for interfaces and software such as this, FYI Television can supply the necessary data and rich media imagery, including schedules, performers and contributors, cast biographies, station logos, show cards and episodic stills. Contact us to learn more.